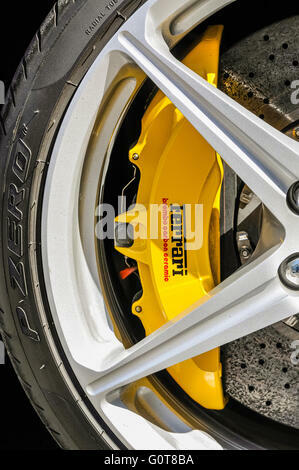 Yellow Brembo brake calipers on Ferrari sportscar. 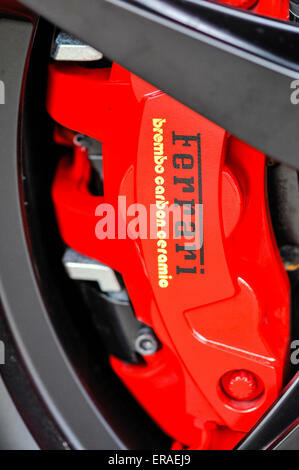 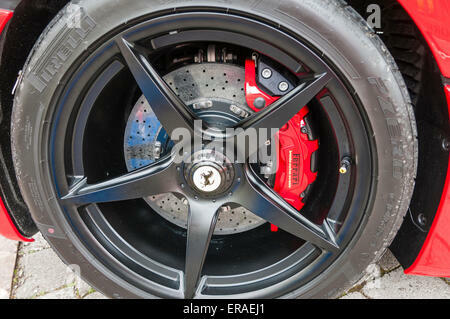 Yellow Brembo carbon ceramic brake calipers on a Ferrari. 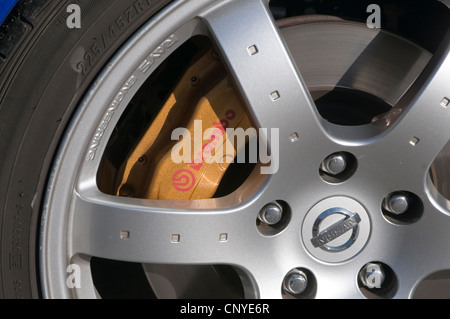 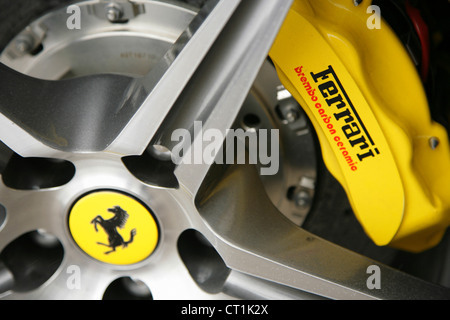 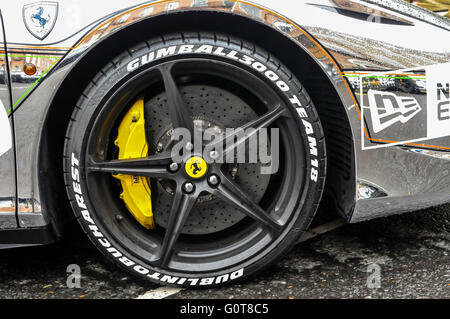 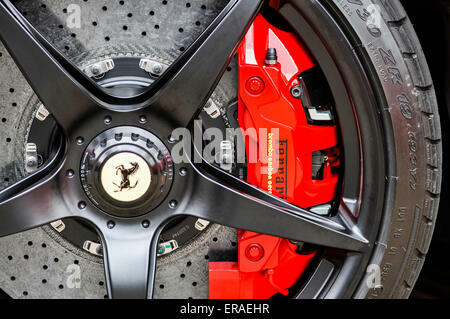 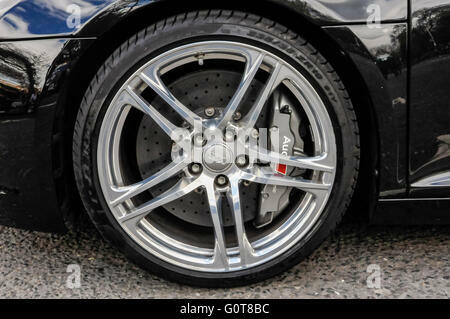 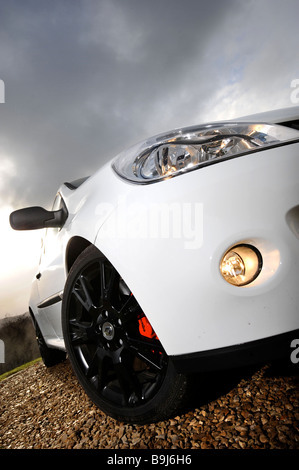 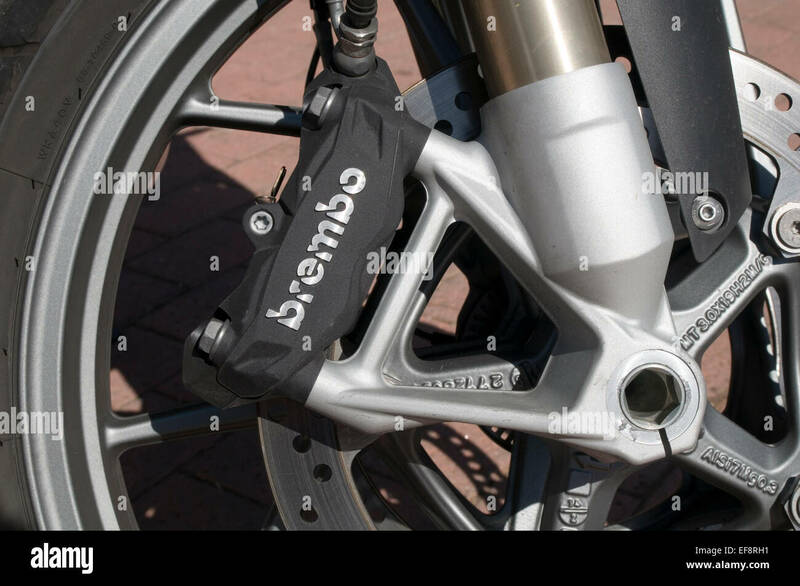 Yellow standard brake calipers on a Ferrari. 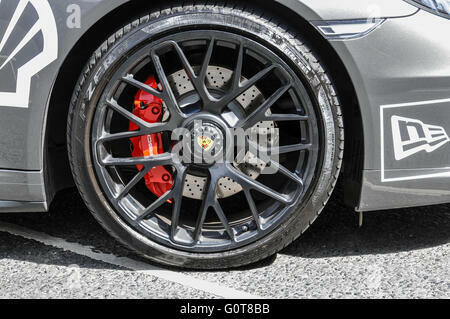 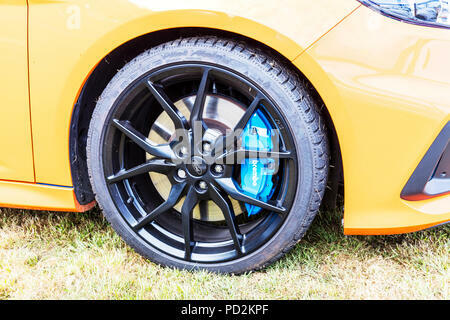 Red disc brake calipers on the front wheel of a Porsche Targa 4S.